daughter as she was dealing with some bullying issues in school, I quickly fell in love with the art myself. 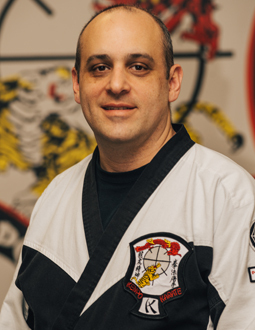 I had been training in martial arts since 2006, but after my original instructor died, I took some time to research where to continue my training. Two years of searching finally led me to Soares’ Martial Arts. Not only did I find a place to learn martial arts & reinforce valuable life lessons, I have also made some great friendships, all while sharing an amazing bonding experience with my daughter.